If your answer is yes, you’re presented with two options: earn more money or slash your budget. While both options are good, it takes a lot less effort to cut expenses than it does to earn more money. And surprisingly, it’s the small things that make a huge difference in your spending. 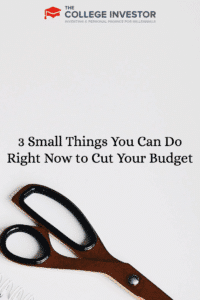 Here are three small things that you can do right now to save money. Utilities are one of those costs that you can’t avoid. You need heat, electricity, and running water. But you can focus on lowering your utility bills. For instance, switching to gas heating can be a lot less expensive and more efficient than using electricity to heat your home. Unplug unused appliances and electronics. Make sure any new appliances you purchase are energy-efficient. A lot of these things take little effort on your part but can provide long-lasting savings. One budget buster that many people incur happens in the food category. You’re tired after a long day of work and it’s so much easier to get takeout than it is to prepare your own meals. We’ve all been there a time or two. If food is one of your largest budget categories, there is a way to easily eat at home: prepare your meals in advance. Personally, I’m a big fan of the Crockpot and I think it can do wonders to save a grocery budget. Start by planning out a few meals. Take some time on one of your free days to throw Crockpot-friendly ingredients for separate recipes into freezer bags. Freeze. Let your Crockpot-prepared freezer bags thaw out overnight and dump the ingredients into the Crockpot in the morning. When you get home you’ll have a hot meal ready for you and chances are it will taste much better than takeout. Another option you have is to cook a bunch of meals in advance and freeze them. Once you’re ready to eat them, simply thaw out the freezer bag and warm up the meal. These are two very simple ways to ensure you stay in line with your food budget. Do you ever buy something and then get home and immediately wonder what you were thinking? Do you ever shop out of boredom? Both of these have happened to me on a few occasions. Luckily, limiting impulse spending isn’t that hard. Create a budget and give yourself a certain amount of spending money per week. For example, you might decide that you can’t spend more than $10 per day on non-essentials (eating out, coffee, snacks, etc.). Withdraw $10 in cash from the ATM and leave all your other forms of payment at home. If you don’t have extra money with you, you won’t be able to spend it. These three easy things can add up to substantial savings for you over the course of a year. 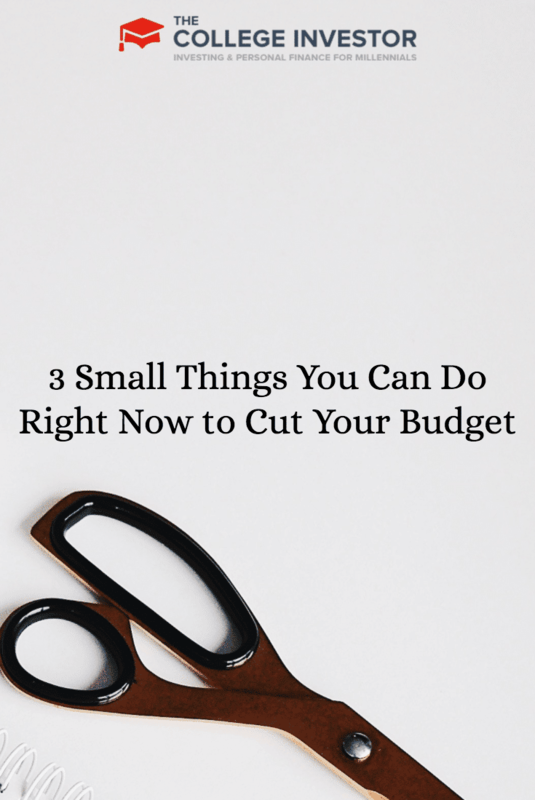 What small things have you done to slash your budget?